Of December 10 on Steam, which is when DUSK will leave Early Access and gain its third lengthy campaign. 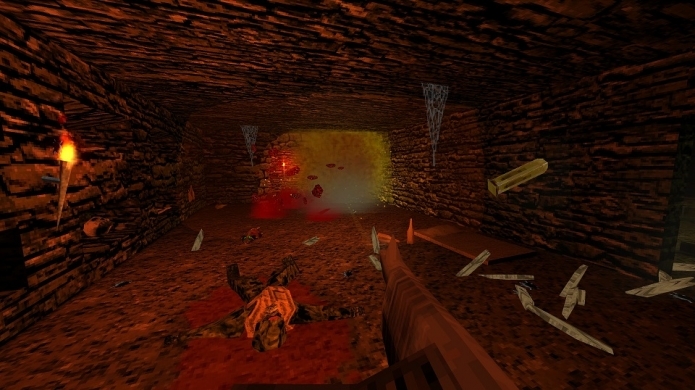 In a somewhat cheeky move the full release will also carry a price of US $16.66 - celebrating the title's throwback to the darker FPS games of the '90s. Inspired by the likes of Doom, Quake, Blood, Half-Life, and Heretic - aka the golden age of the shooter. Having played through the first levels a while back, DUSK quickly impressed with its wonderful level-design and great feel. Plus it doesn't hurt to have an epic metal soundtrack by Andrew Hulshult (Rise of the Triad, Quake Champions). It's great to see that it's full release will be out in time for Christmas.